I saw a post on social media saying the NFL should change their primary recipient of support and funding from that certain rose-hued campaign to supporting Domestic Violence awareness. I get what they are saying. First the pink campaign has little to do with its people - sure there are probably plenty of players impacted by a friend or family member with breast cancer - but with Ray Rice as the latest, there have been more than enough reports of players involved in DV. Add to that the questionable value of the pink campaign and looking for another cause where support could be better controlled becomes relevant. Not that DV specifically is a bad idea, but I have a better one. 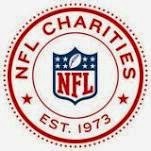 I think the NFL should create a sensitivity program not only for its players but for all athletic programs (and others as well) - or maybe I should spin it the other way - maybe they should support a cause not only to the public, but to their players as well. There are plenty of player- and team-related stories where general respect and sensitivity are lacking and promoting it to the players and through them to all men could have huge, immediate impact. This isn't meant to bash the breast cancer awareness program. I have a vested interested in the cause not only through friends and family impacted by it, but much more personally. I had a mastectomy when I was a child. Yes a mastectomy - not a vasectomy - the same surgical procedure for breast cancer. I had a tumor removed from my chest. Luckily it was benign, but I was impacted for life by it still. First, its pretty embarrassing in your growing years, taking a shower after gym and sports, with a growing breast. But I never really let it bother me, maybe it partly made me the open-minded person I am today. However, you may not think about it but, when they cut out a tumor, they have to cut out more around it and they had to do so with me - taking a lot of muscle with it. To this day, over 30 years later, I have a depression in my left chest where they took out muscle. So, yes, I get the passion and the desire to support a cause that has such a dramatic impact on lives. But I caution everyone that wants to support any cause that they should check out what they are buying, donating to, or otherwise monetarily supporting. I won't get into details here, you can find it easily enough on the Interwebs, but it is widely known that many businesses slap on a pink ribbon and claim support of breast cancer when they may donate little, or even nothing. Their response would be that they are 'raising awareness' but much like another grass roots campaign that flooded social media in the past month (which did get its fair share of donations) many people just want to jump on the bandwagon and don't really know or support the issue. Let's get back to the idea then, shall we? The idea is that the NFL should create a foundation that supports respect and sensitivity to all by all. In the past year, if you pay attention to sports, you will remember many stories that this could have related to including the treatment of women, the LGBT community, Native Americans, even just their regular teammates who don't like being bullied. Carry that cause to college teams where their ranks come from, down to high schools and beyond. Let successes be shouted out to show other men what it means to be a true man. Now THAT I would support. The NFL is a sport of violence. Despite efforts to reduce big hits on certain positions like quarterbacks, wide receivers, and kickers, one of the basic things about Football is that it is about hitting other players. There are three ways for a play to end - scoring, going out of bounds, or getting hit. And with the number of downs in a drive getting hit is the number one way a play ends. And even if the player in possession of the ball does not get hit - there are at least 8 of the 22 players, if not more, hitting each other - every play - namely the offensive and defensive linemen plus any other player involved in blocking then of course the tackling. We are teaching and encouraging these men to hit other men, so it makes sense that they are filled with anger and rage - they are paid to. It is much like another occupation where we train people to hurt others - the military. Now if you said the NFL was going to take their program to the military and use it to help veterans, but not only when they are done - how about while they are in the service, just as the players would have help while they were playing. How huge would that be? It's one of the basic things we are about here, respect for yourself, other people, even the environment. We avoid stories about men that don't show it and applaud those that do, because we don't want to extend their 15 minutes of fame/infamy. When there is any way to address it, we promote that here. Sometimes we have to acknowledge that those stories exist, but we can find ways to turn it around. If the NFL looked hard at their own organization, their owners, coaches, and players, they would see the right thing to support for them and for others. NFL - show some respect.